Born in Boston, Massachusetts. Lives in Emeryville, California. Amidst the harried go go go culture of today’s world, Bay Area artist Gail Tarantino takes the time to savor life. She is the rare individual who is astutely present in each moment; a necessary quality which she engages to contemplate the potential poetry -both visual and literal – in the things around her that most people overlook. 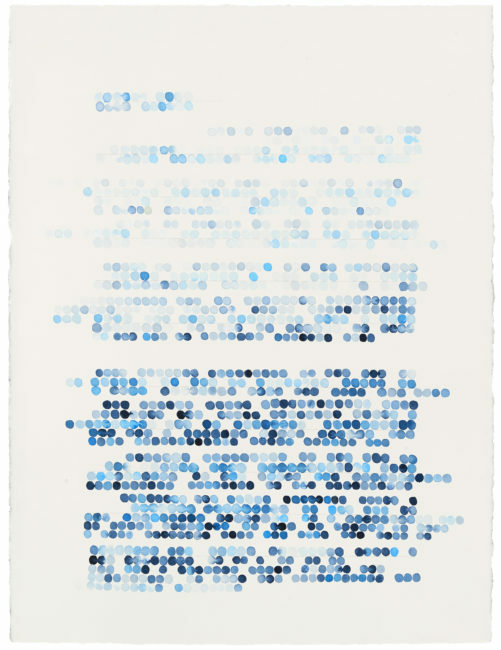 Her body of work, which includes painting, drawing, photography and video, often incorporates clever word play and artfully reflects her sensitive observations. 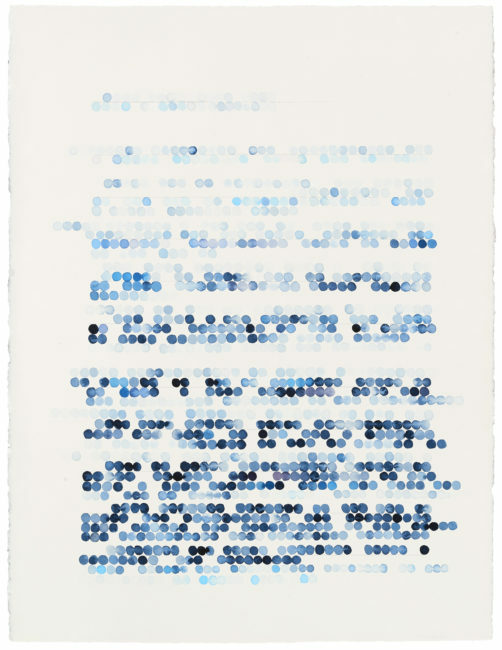 The “Hand Written” series is inspired by letters of appreciation the artists has composed to a handful of scientists, naturalists and curiosity seekers. 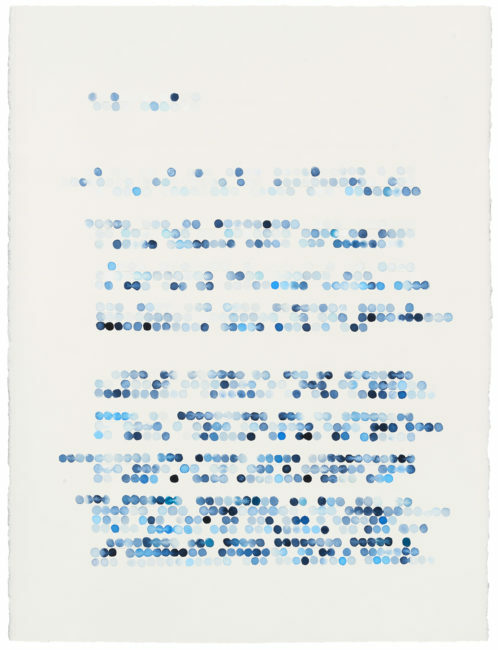 Each letter of every word from her penned missives are then translated into a colored dot, and an abstracted version is created. 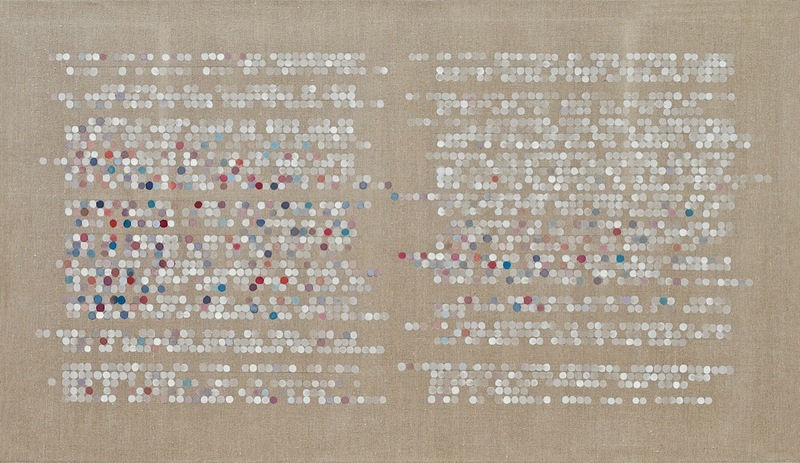 The paintings remain reminiscent of the familiar format of handwritten letters, but the textual content has been replaced by undecipherable yet deeply satisfying visual poetry.